A date such as October 15th brings extremely important information on relating between two people, communication between partners, and all those things that remain left unsaid. Energies need to be released at this time, and people born on this date tend to talk too much steering away from the point, or simply shut their mouth, swallowing what they truly wish to share. It is the essence of relating that truly counts and once their priorities are set, they find it easier to express themselves without inner judgment. 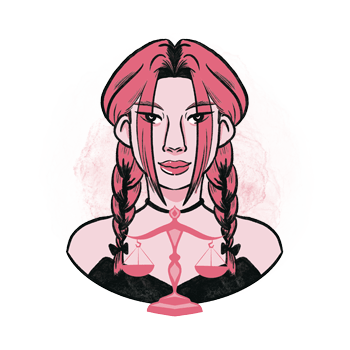 The planetary row of people born on October 15th is quite demanding on this little Mercury, as it seeks mediation between two extremes, two sides of the conflict, and it is no wonder that they are often children mixed in issues their parents couldn’t discuss as responsible grownups. If they feel powerless in front of others, or the society norms that define their activities, they might develop different mechanisms to cope with the necessity to communicate and either talk too much or talk too little to get to the point that needs to be shared. To be fully functional instead of scattering their energy on too many thoughts, they need to find inner stability and the inner system of support that allows them to express, as they wish, in any surroundings imaginable. "A Child Giving Birds a Drink at a Fountain"
The importance of the inner child meant to play and give thanks to nature itself is seen in this line, and what those born on this date need, is the purity of childish intent in life. Their inner world is to be nurtured and safe, so they can give thanks, help out, and support their own fragile tendency to fly, sharing information and beauty with the rest of the world. Birds stand here as a symbol of words, that need the element of Water and a touch of emotion and heart, so they can reach the point of substance and fulfillment and fly off into the world. With the destination in front of them set in the role of Uranus, Libras born on October 15th need to reexamine their systems and fight for an, often rebellious, battle of Self. They are to set free in expression of their true needs, opinions and motives, so they can spark the light in their own life and live through adventures that are calling on them. Their task is to take risks, engage in strange activities and become those eccentrics within that yearn to get out, while holding on to healthy boundaries and giving enough freedom to others to live their lives as they wish to. This leads them right into the social circle of value, supportive of anything they want to achieve. Communication plays the most important piece of the puzzle in the love life of those born on October 15th. A bit torn between needs of the society, the other person, their own inner world, they could get a bit lost and share who they are in ways that aren’t perceived right. Their ability to show their position clearly to the right person is going to define the quality of any relationship they make. Their words are meant to be tender and in tune with the essence of emotional connection and should be in balance with what the intimate contact allows do they can truly assess how satisfying their contact with the other person is and if it is enough for their emotions to flow freely. Their relationships could be colored by misunderstandings and situations in which the other person simply won’t listen. This is all just a reminder of their own boundaries and ability to sense the moment and the level of connection with those standing in front of them. It is important to realize that not each emotional bond is meant to be fully functional or at a level of emotional interaction they actually need. As they let go to the real emotional flow in pure honesty, they stop expecting and start living their contacts until they reach for those that embrace them for who they truly are. 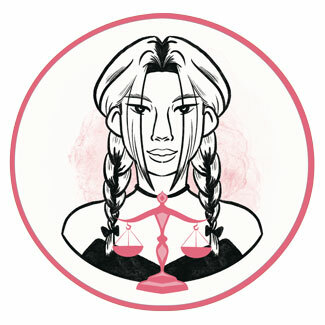 A Libra born on October 15th excels in all sorts of debates and healthy dialogues, with paperwork, telephone agencies, bloggers and website designers, when information needs to be shared and pinned to an image, as well as practical knowledge. They work well with their hands and their voice, as sculptors and writers, and those who give others a sense of belonging in a larger system or a tribe. They become leaders when in the right pack, surrounded by people who see them clearly without too many obstacles in the path of communicating and sharing valuable information. A wonderful crystal to support those born on October 15th is kinoite, as it helps them rest, sleep, and reach the point of compassionate and healthy communication. It is known to remove blockages from the throat chakra, allowing truthful dialogues and helping one find the perspective in the world allowing them to hold on to their center of personality while talking. It assists recalling ideas given the Universe, and gives them a practical note so they can share and materialize their desires in the world they live in. A good choice of a birthday gift for someone born on the 15th of October can be a good novel, a book that will give them information on practical topics and teach them how to fix what is broken or build something in detail. They will enjoy a course for a new language, astrology, or some cycling equipment, a new pair of sneakers, and something to boost their need to move. Throw them a party, inviting people who love them, and give them a sense of belonging in a certain tribe that might be different than those structured by the outer world. Eloquent, witty, and quick to resolve a problem at hand, they are thinkers of the zodiac meant to share important information with the rest of the world. They form heathy groups and understand the movement of interaction within larger systems. Talking too much or too little, they could swallow too many information, taking away their own right to show their true position. Dishonest out of fear, they need bravery to get out of their shell and openly express their true desires. In 1831 Isabella Bird was born, an English explorer, naturalist, writer and photographer, as well as the first woman to be elected Fellow of the Royal Geographical Society. From early childhood, she was outspoken, intelligent. Her health was frail, and she was recommended an "open-air" life. In 1937 Linda Lavin was born, an American actress and singer, recognized for her role of the title character in the sitcom Alice. She founded an arts foundation with a special theater program for girls called Girl Friends, whose purpose is to raise self-esteem of at-risk teenage girls. In 1943 Penny Marshall was born, an American actress, producer and director, known as the first woman to direct a movie to gross more than $100 million at the U. S. box office. In college, she studied math and psychology and got pregnant before finishing. 1582 – The beginning of the adoption of the Gregorian calendar. 1783 – The first human ascent in a hot air balloon. 1815 – The beginning of Napoleon's (born on August 15th) exile on Saint Helena in the South Atlantic Ocean. 1888 – Investigators receive the "From Hell" letter allegedly sent by Jack the Ripper. 1956 – The first modern computer language, FORTRAN, is shared with the coding community for the first time. 1991 – Detection of the first ultra-high-energy cosmic ray.